Access to energy is very limited in Indonesia‘s rural areas, especially on remote islands. Sumba is one of the most remote and disadvantaged islands of the Indonesian archipelago. 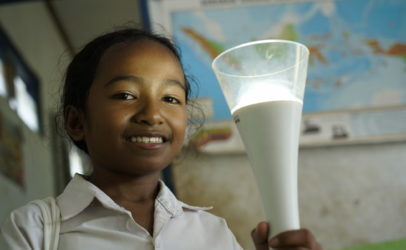 Without electricity, its children cannot do their homework at night,and its families cannot run competitive businesses.But Sumba has many potential sources of renewable energy such as biogas (waste from livestock), water, wind, biomass and solar energy that would benefit the population. If these sources were fully harvested, they could be used to drive the local economy forward and alleviate poverty on the island.